Are you looking for a small business opportunity in Bhubaneswar? If yes, then you must start your own food business. Food business in India is growing rapidly and is really a profitable venture with low investments. If you are looking for food franchise opportunity in Bhubaneswar then, Chaat Ka Chaska street food franchise opportunity is the best for you. Chaat Ka Chaska is a venture of Brewbakes that serves delicious and enticing street foods to customer prepared through finest quality of ingredients. Chaat Ka Chaska is offering street food and chaat franchise business opportunity to all who are looking for a business opportunity in Bhubaneswar with low investment and can make money with sufficient margins. So, don’t miss this golden opportunity of having your own street food business in Bhubaneswar. Why Chaat Ka Franchise Franchise in Bhubaneswar? Every city has its own specialty in foods but there is one common thing that you will find everywhere in India tand hat is Chaat. Tikki Chaat, Raj Kachori Chaat, Samosa Chaat, Alloo Tikki Chaat, Papri Chaat there are infinite varieties of Chaat that can be found anywhere in India. This is one of everyone’s favorite. 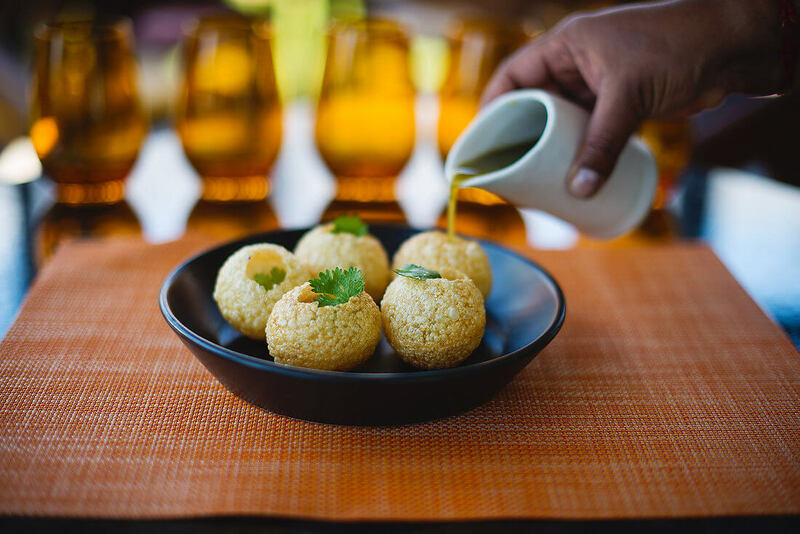 Along with Chaat, Pani puri or Golgappa is also a traditional Indian street foods that people enjoy it immensely. So, opening a Chaat store or street food store in Bhubaneswar will be a profitable venture. Chaat Ka Chaska is a brand in food industry that serve delicious and mouthwatering street food that are hygienically prepared through finest quality ingredients. We offer excellent street food franchise opportunity in Bhubaneswar to all the people who are keen to open their own food store or restaurant in Bhubaneswar. Along with solid business plans we offer extensive franchise support such as pre-opening support, staff training, customer service and much more. So, Chaat Ka Chasta chaat franchise is a very safe business for you. People in Bhubaneswar is also very foodie and also people from different parts of the country live in Bhubaneswar this means the city has the huge potential for growth in food business. The students can be your potential customers as they love to enjoy delicious street foods. They have also a huge contribution in the demand of hangout places, food cafe, trendy restaurants, etc. So, opening Chaat Ka Chaska food franchise store in Bhubaneswar is a wise decision for all the people who are looking for a business opportunity for a constant source of income. Bhubaneswar is one of the largest cities in the state Odisha and popularly known as ‘Temple City of India’. Any business can be a profitable venture in such densely populated place. Food business requires low investment but one can enjoy highest ROI. So, grab the opportunity of Chaat Ka Chaska street food and chaat franchise in Bubaneswar and open your own food store in your own city. You can not only be your own boss but will also become the part of a leading food brand serving enticing and hygienically prepared street foods to the customers. So, partnered with Chaat Ka Chaska food franchise business and get success in food business.